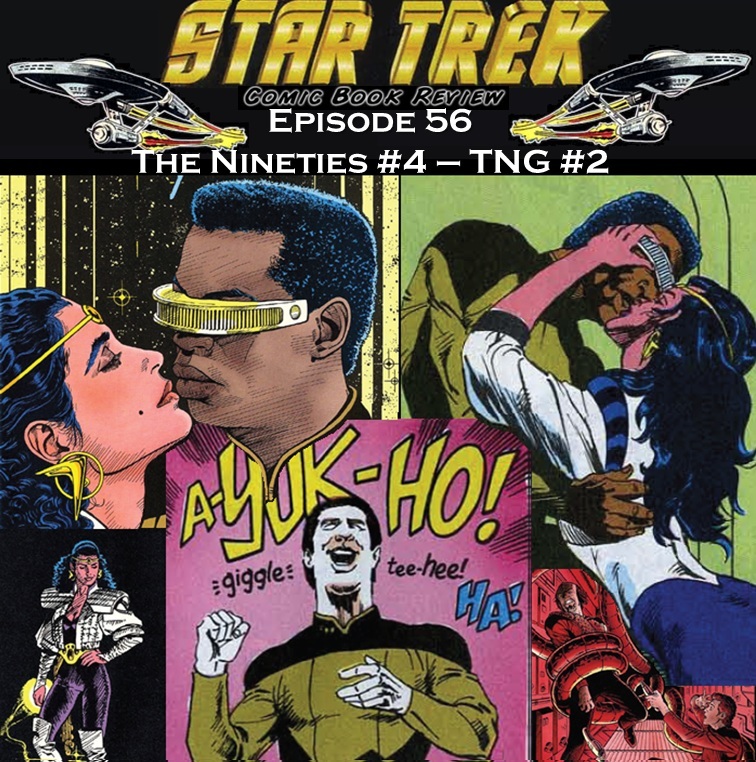 always, this podcasts’ mission has been to (hopefully) provide entertaining and witty comments on every officially licensed Star Trek comic ever published. off season 2 and transitions into season 3 (something the series never did with Crusher’s abrupt and return). We are first presented the conclusion to McRobb’s heroic debut story arc. Then treated us to a two-parter that has Geordi in love… I am sure that it will work out for him. bounty hunter in the galaxy (it is not Boba Fett). We all love Star Trek, and if every planet has a bunch of people that look like humans with bumpy heads or odd noses, then we will go with it. My comment today is about alien animals, and how sometimes they look a little too much like Earth animals for my tastes. In Star Trek V, Kirk is on a planet (Nymbus III) that has been settled by the Klingons, Romulans, and HUMANS. On this planet, we see the crew riding magnificent blue unicorns. Obviously these animals were not seeded from Earth, thus why they do not resemble Earth horses. That same year, in Star Trek: The Next Generation #1, Picard is on an alien planet that has mistrust for the Federation. 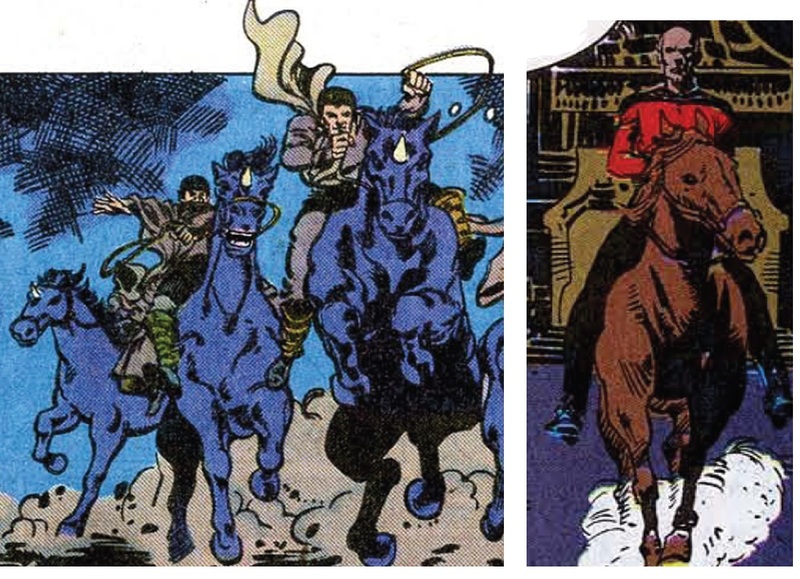 Here, Picard rides an animal that looks exactly like a horse! This cannot be a gift from Earth, because the inhabitants are all riding these horses. Now if the aliens on the planet looked like humans, then we can chalk it up to parallel evolution. But no, these aliens are large feline creatures. Aside from being bipedal, they do not resemble humans much at all. Now available for download, Episode 54! As always, this podcasts’ mission has been to (hopefully) provide entertaining and witty comments on every officially licensed Star Trek comic ever published. 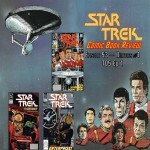 At the end of 1989, DC Comics rebooted their Star Trek comic line. 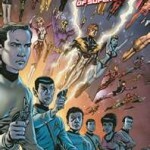 With a new Star Trek #1 and a new ongoing Star Trek: The Next Generation series. Gone were the Bearclaw’s and the Bickley’s along with any other non-canon character introduced in previous comics. 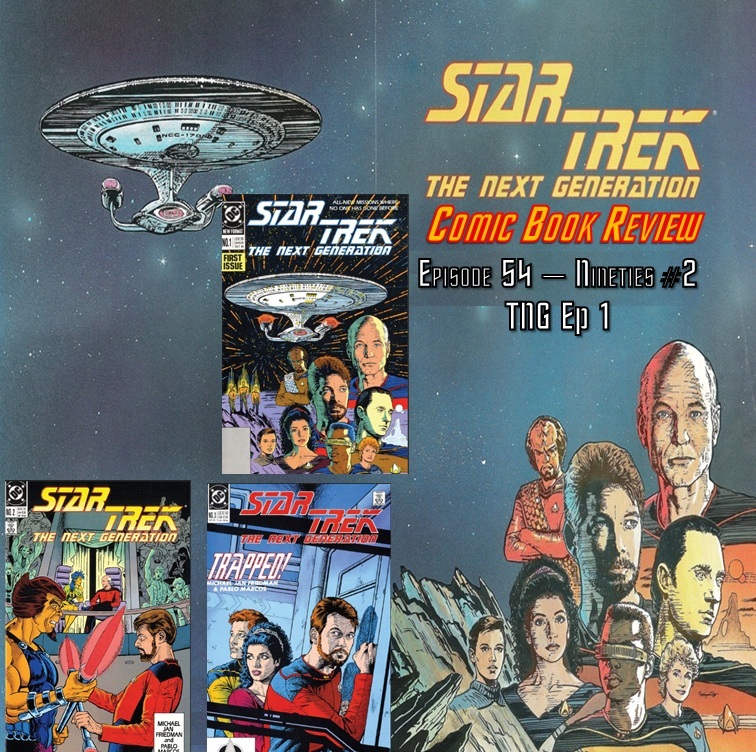 In Star Trek: The Next Generation #1~3, Michael Jan Friedman tells some tales about the Enterprise’s continuing voyages set during season 2. In these issues, Picard is framed… for murder! 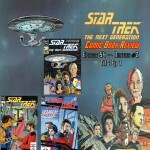 This week, Please be sure to return next week for episode 55 where we will cover DC Comics’ Star Trek v2 #4, 5, and 6. 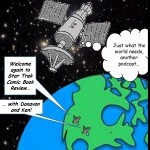 The second original comic strip from STComicBookReview can be found HERE. You can order your issue HERE. Now available for download, Episode 53! As always, this podcasts’ mission has been to (hopefully) provide entertaining and witty comments on every officially licensed Star Trek comic ever published. At the end of 1989, DC Comics rebooted their Star Trek comic line. 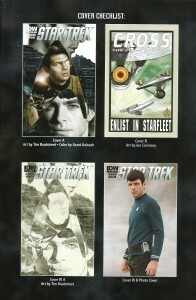 With a new Star Trek #1 and a new ongoing Star Trek: The Next Generation series. Gone were the Bearclaw’s and the Bickley’s along with any other non-canon character introduced in previous comics. 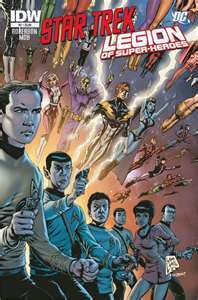 In Star Trek #1~3, Peter David tells some tales about the Enterprise’s continuing voyages set right after Star Trek V. It introduces us to a new alien race, whose leader “The Salla” will become a persistent thorn in Kirk’s side. 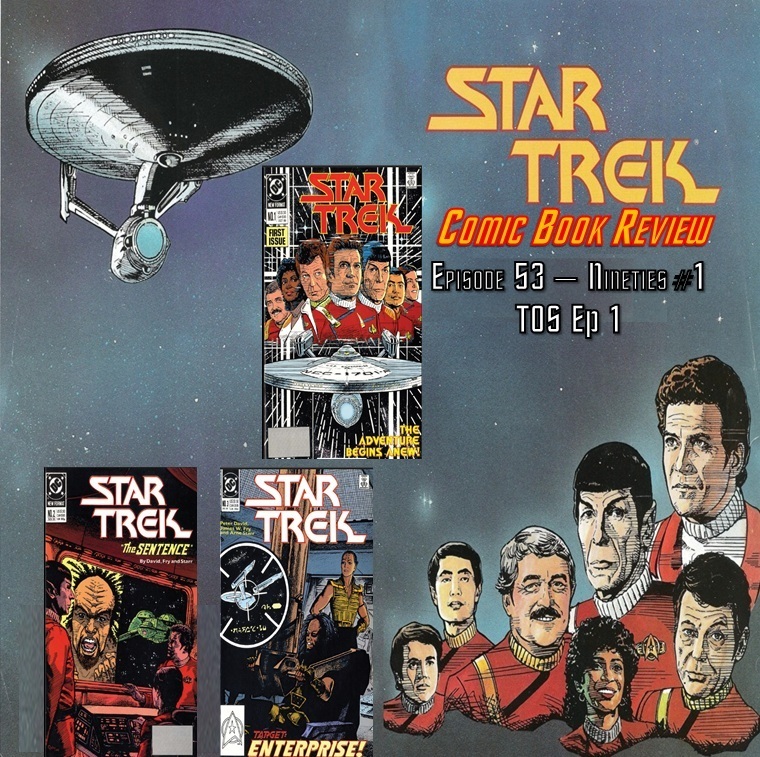 This week, Please be sure to return next week for episode 54 where we will cover DC Comics’ Star Trek: The Next Generation v2 #1, 2, and 3. We live in a messed up universe, my friends. Pirates and other hooligans are pushing our favorite local comic shops out of business. 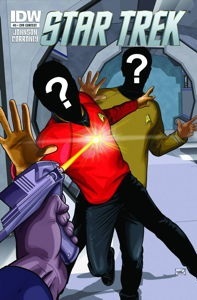 Now you can show your support of them and become a “Red Shirt” on the cover of Star Trek Ongoing #5! 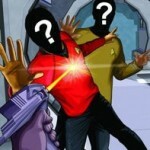 You will be depicted throwing yourself in front of a phaser blast aimed at your comic provider’s heart! 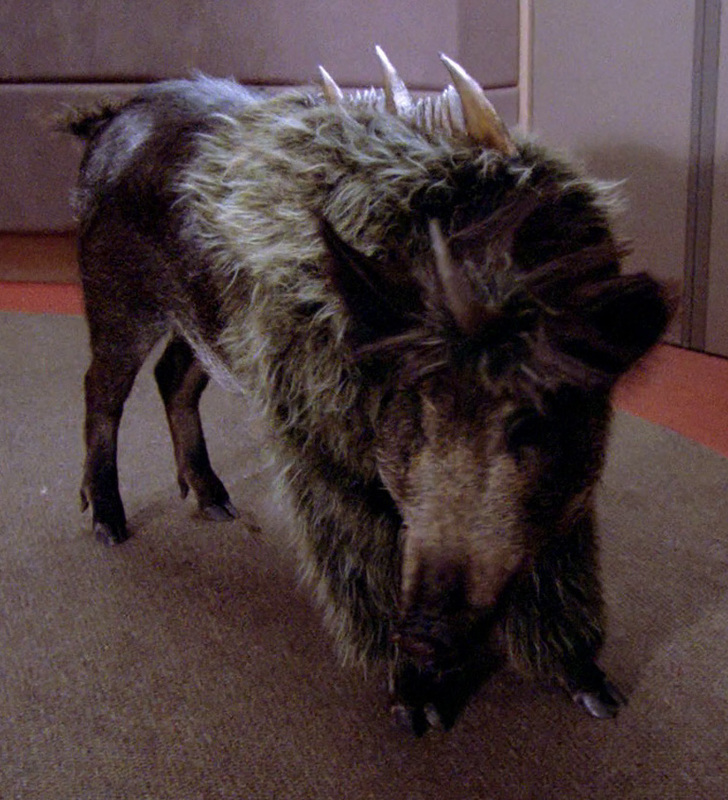 Star Trek is filled with great and not-so-great items for the collector to seek out and explore. This series of articles will be to include items from both extremes. 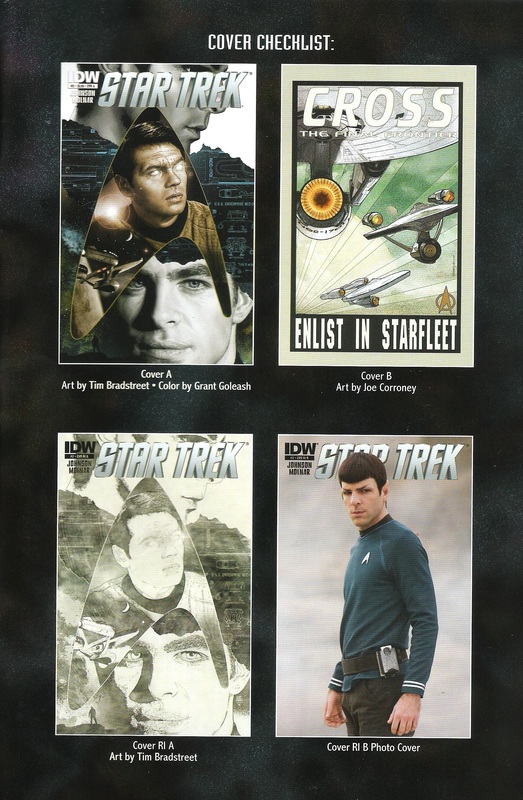 As Star Trek collectors, I am sure we all have the gems that we are proud of and the others that we bought just because it had “Star Trek” on the box. Today we cover Star Trek’s relationship with Barbie.